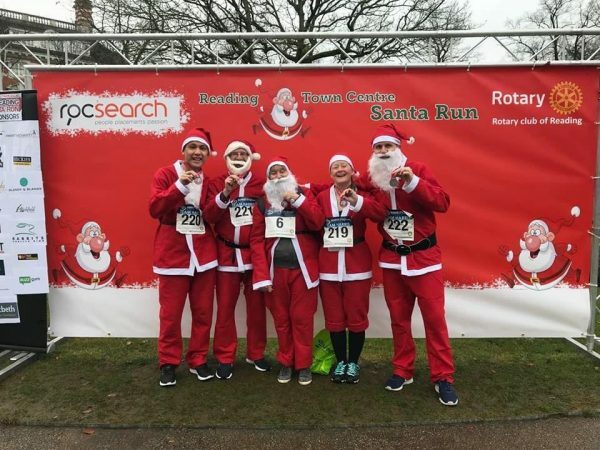 Santa hats off to our Reading team who raised £500 for charity tackling the 5K Santa dash round central Reading. Despite having no regular runner amongst them, the team all came in with times between 38 and 58 minutes. Pictured are Stephen Chow (220), William Auld (221), Terry Jones (6), James Auld (222- William’s son and honorary team member) and a beardless Tanya Trayner.